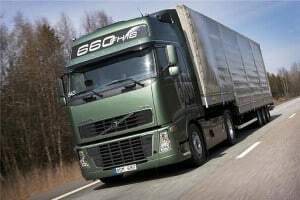 Chief executive of the Road Haulage Association (RHA) Richard Burnett has written an open letter to chancellor George Osborne calling for greater financial support for the logistics sector in the training of new drivers. "Right now, we are 45,000 drivers short. If the issue is not urgently addressed, in 12 months' time that figure will increase to 60,000," Mr Burnett stated. "If the UK doesn't have enough people able to drive the lorries that keep the economy moving, the economy will grind to a halt." In his letter, the RHA chief asked for forthright action to remove the current financial barriers to driver training in the UK. Indeed, achieving the necessary qualifications to become a professional driver can cost a person upwards of £5,000 at present and this is seen as one of the main reasons a lot of people – especially young Brits – are being put off from entering the sector. As such, Mr Burnett added that the RHA is now keen to hold further talks with members of the government to come up with new measures that can boost interest among young people regarding a career as a professional driver, as well as on how best to remove the current barriers for entry. He warned that if action is not soon taken, the economic impact of the ongoing driver shortage will be keenly felt across all areas of business.